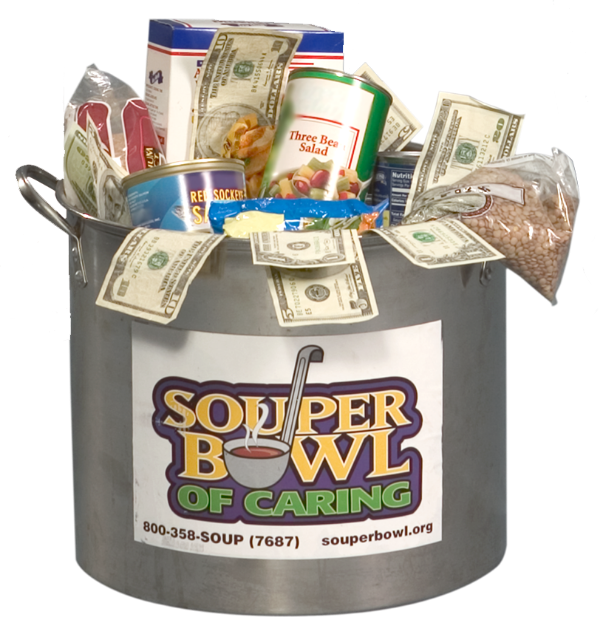 The Souper Bowl of Caring is a movement founded by a church youth group in 1990 that aims to inspire others to collect dollars and food in the weeks leading up to the Super Bowl. Teaming up with local partners, groups around the country give 100% of donations to local charities, changing the nation's largest weekend of football into the largest weekend of caring. The Vine Street youth group will participate again this year by collecting donations after church on Super Bowl Sunday (February 3rd) for the Society of St. Andrew, a hunger relief nonprofit operating in Tennessee as well as the larger U.S.
We hope you are making plans to join us on Sunday, January 27, for Allison Ruari's installation during morning worship and the celebration brunch following worship. In preparation, we ask members and friends to sign up for contributions to the potluck banquet. We will pass a clip board on Sunday morning, but you may also sign up online now. Thank you! How's that for a hat-trick? Chili Cook-off, Game Night, and opening night for Room in the Inn are all happening Feb 3! 5:30-7:30 p.m. will be a time for food and fellowship and offering an extra warm welcome to our guests on their first night here. Folks are invited to bring chili or a dessert, a game, and an extra dose of hospitality. We’ll gather at 5:30 p.m. for food and games (including the “superb owl” on the TV), welcome guests as they arrive around 6:15 p.m., award prizes for the best Chili (Martha Bishop is our reigning champ), and wrap up games around 7:30 p.m. so that our guests can get ready to rest for the evening. If you’re newer to the community, this would be the perfect opportunity to meet other Vine Street folks and experience the important ministry Room in the Inn provides. Mark your calendars for President’s day weekend, February 15-18, for out winter retreat in beautiful western North Carolina. There will be opportunities to enjoy games, the outdoors, a warm fire and conversations, and the city of Asheville. We’ll honor older traditions like a trip to a local coffee shop and pizza parlor, and maybe even plant seeds for new traditions to grow! The cost will be $65 per person with $185 max per family. This will secure space in a room, three breakfasts, one lunch, one dinner, and snacks at Christmount. If you would like to attend, please RSVP to Allison by February 3rd. If cost is an issue, please let Allison know! TNT is a party ministry! About once a month, adults with developmental disabilities, along with their caregivers and a group of Vine Street volunteers, gather to have fun together: there’s a dance, there’s a talent show, there are holiday parties, and a number of other fun events. Our TNT leaders will meet for lunch at Newk’s on Sunday, February 3, to make plans for the next few months, and they would love to have you join them. Questions? Contact Randy Halstead.